October is Domestic Violence Awareness Month. Honestly, it's not something I've ever thought a whole lot about. 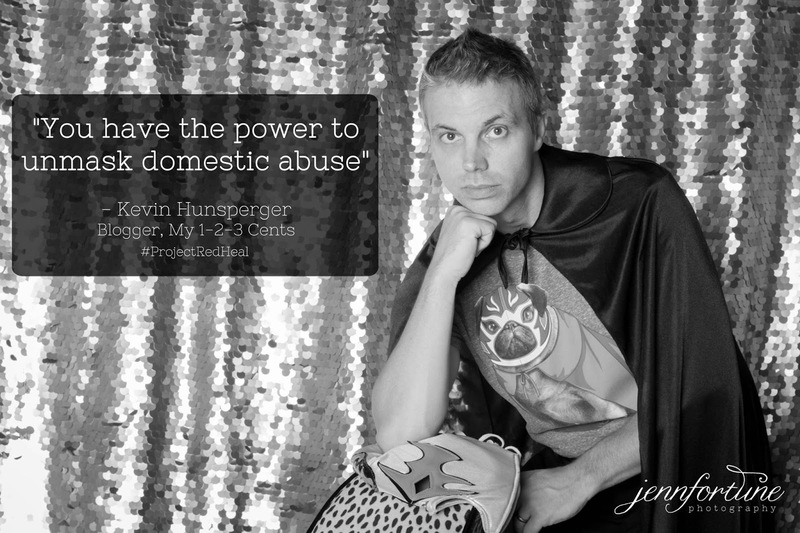 But because of my job as a journalist I've always been aware that domestic violence exists. I have covered countless stories of both women and men being victims and the person they loved being behind the violence. Sadly I'm learning more about people I know who are impacted by abuse. I was honored to be a part of a recent photoshoot that is raising money and awareness. It's called #ProjectRedHeal. Southern Illinois photographer Jenn Fortune is behind the effort. 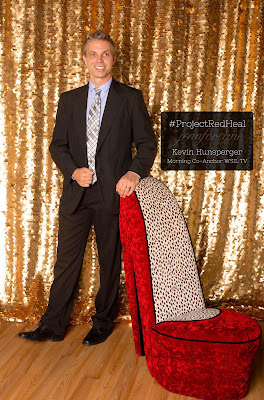 Fourteen other men are modeling with Jenn's big red heel in hopes of reminding folks that violence is never the answer and show support for those who have been victimized. DV is something that doesn't get talked about much. There's a stigma associated with it and people just don't talk about it. The men involved are coming together to let victims know it's important and even life-saving to get help. Anyone reading this who is being victimized, understand you deserve better. No one has the right to abuse you physically or mentally. Get help NOW. 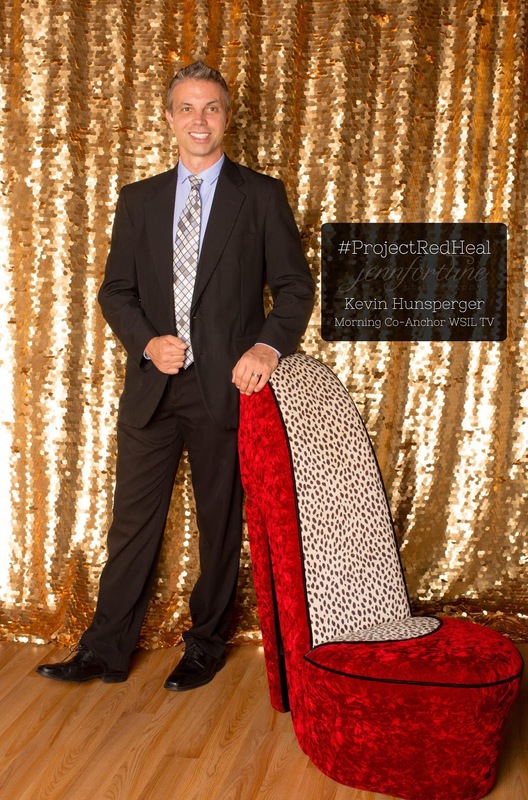 Project Red Heal is raising money for The Women's Center in Carbondale, Illinois. This facility provides assistance to women and their children when they leave an abusive situation. Many times these women walk out with only the clothes they're wearing in an attempt to get away from the violence. Running such a center is not cheap, so any amount that's donated is appreciated and used wisely. I did two different looks for my shoot. The suit and tie represent Kevin Hunsperger, morning news anchor. It's a professional look. But I also wanted to touch on one of my other passions for the project, professional wrestling. My luchador mask was used to illustrate that victims have the power to unmask domestic violence. If you or someone you know is impacted by domestic violence please get help. The National Domestic Violence Hotline is 1-800-799-7233.